The Ramen Noodle Cookbook celebrates the latest Japanese food craze that is hitting countries all over the world. 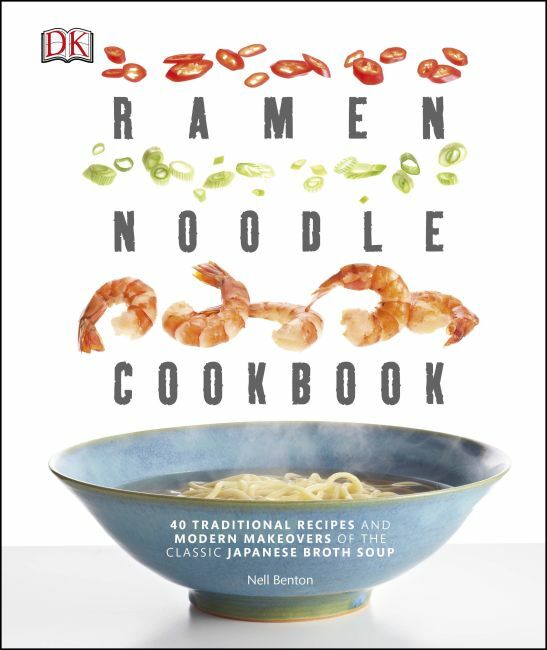 Containing 40 traditional recipes and modern makeovers of the classic Japanese noodle soup, this book is perfect for the home cooking, world food enthusiast. Learn how to make noodles from scratch and cook them to perfection with step-by-step instructions. Includes recipes for different broth bases such as chicken, fish, pork and vegetarian, plus recommendations for different types of spices, seasoning, oils and additional ingredients. Join the growing trend of ramen soup fusion with influences from Korea, Vietnam, China, Thailand, Mexico and the U.S. and start cooking these delicious dishes today.